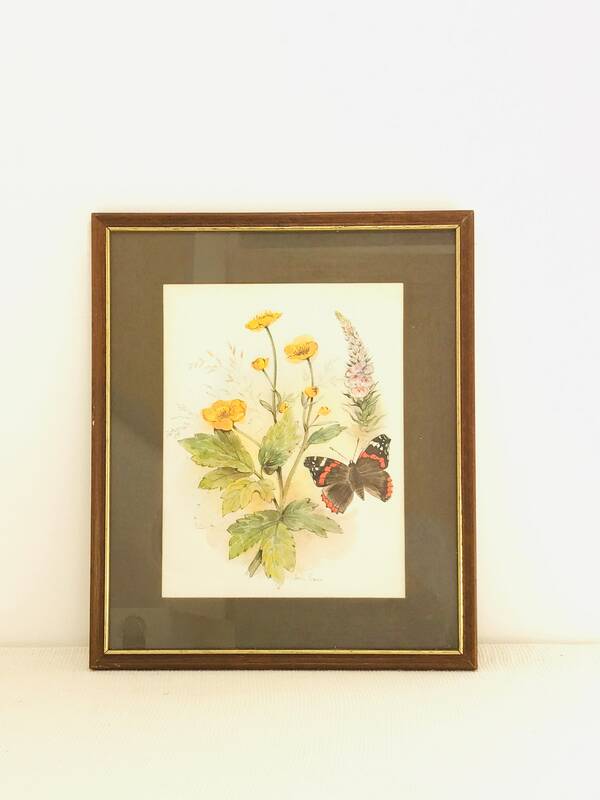 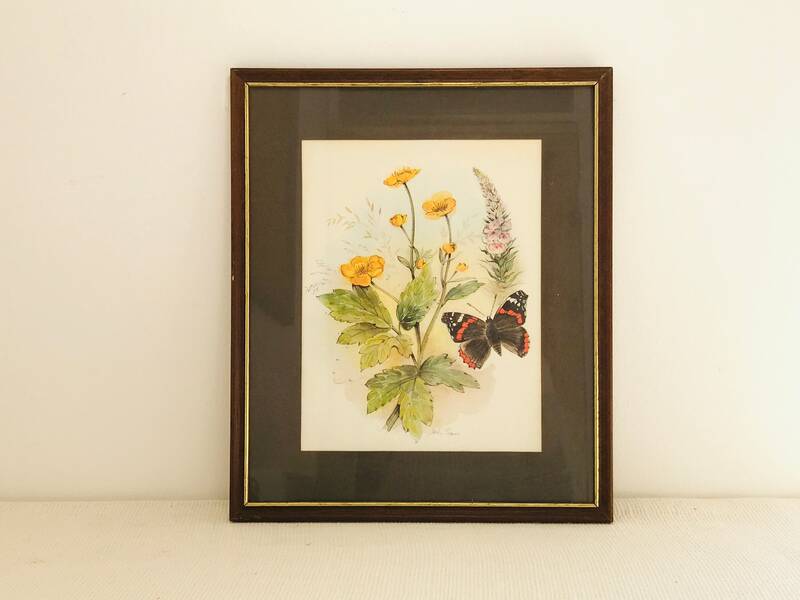 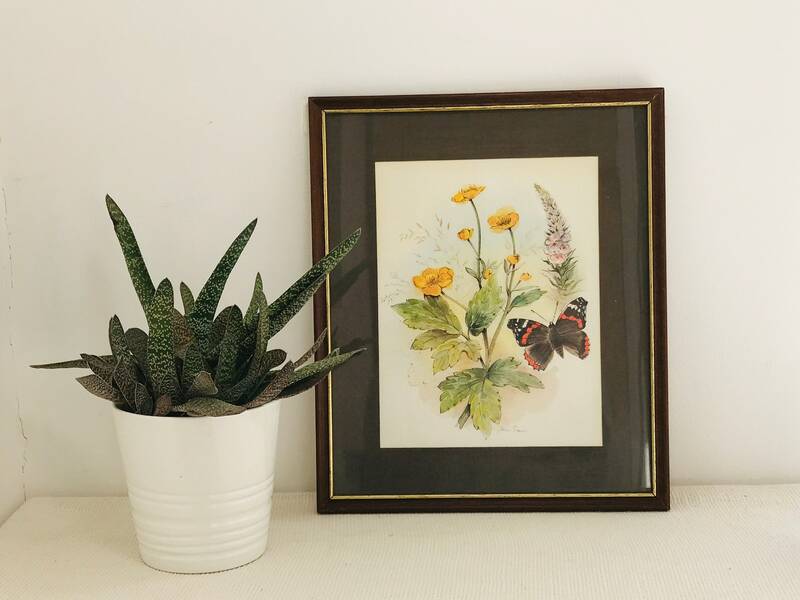 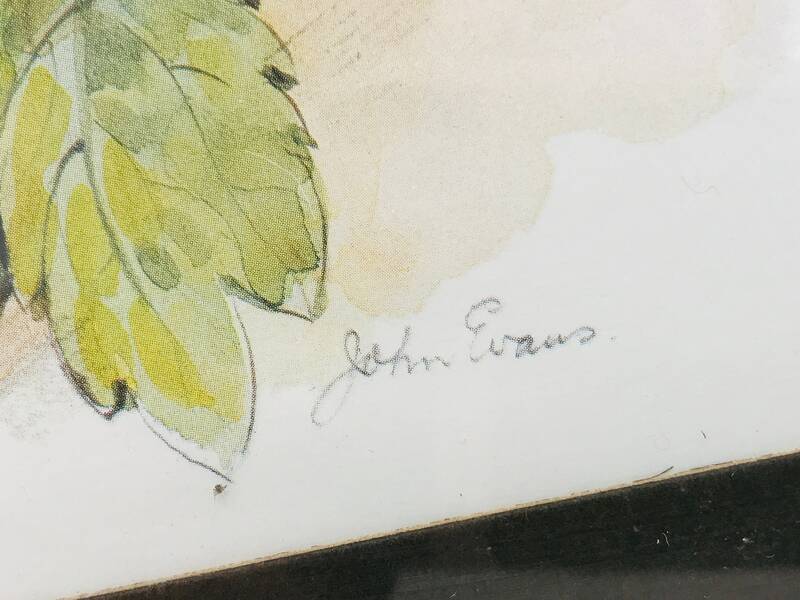 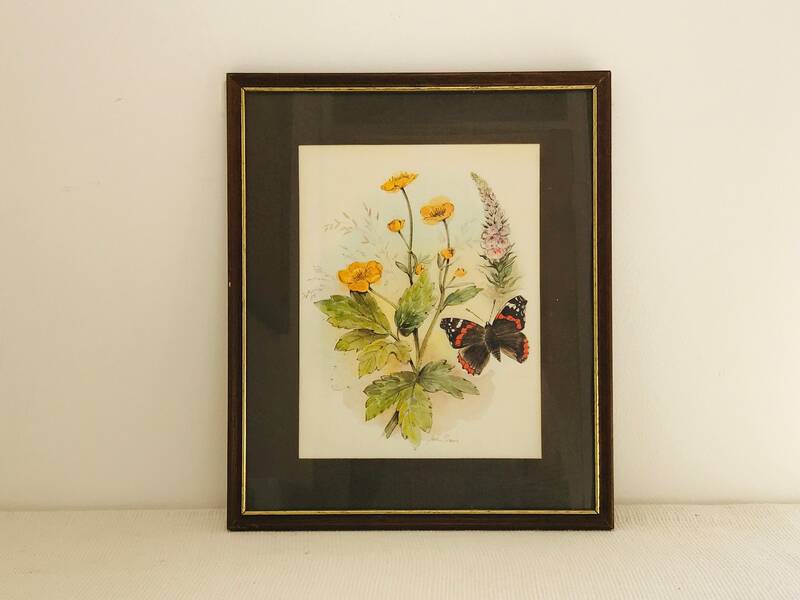 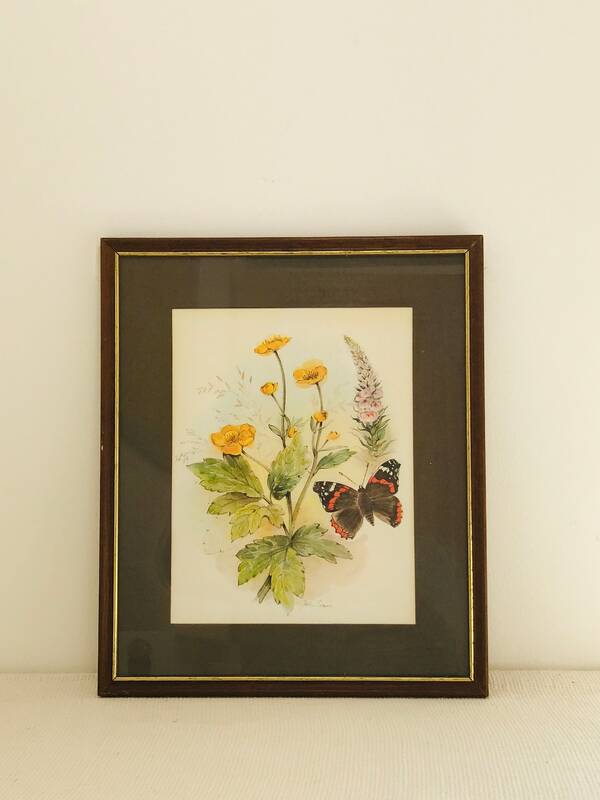 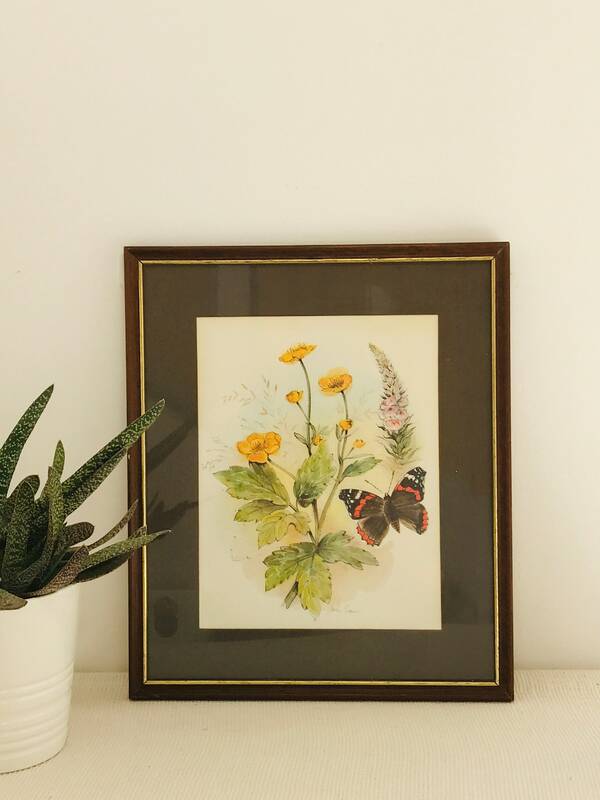 A pretty floral botanical bookplate print by John Evans of yellow flowers and burnt orange coloured butterfly. 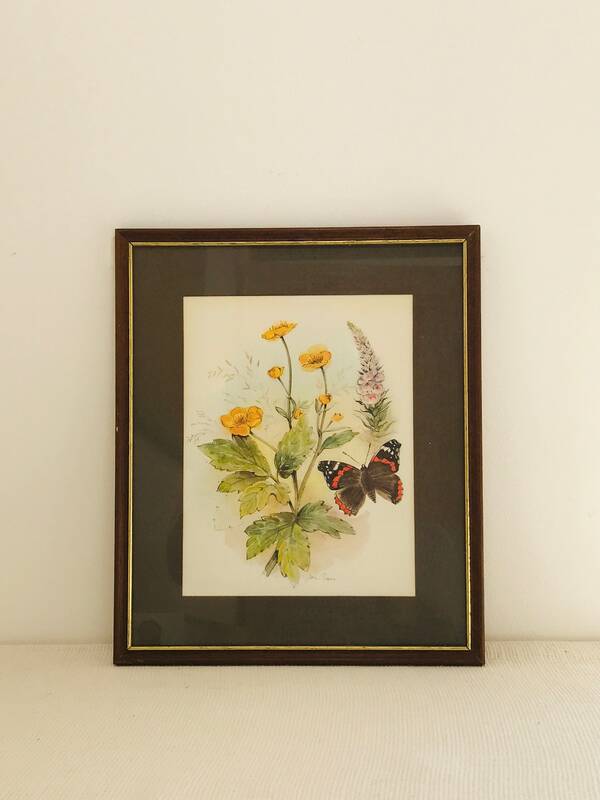 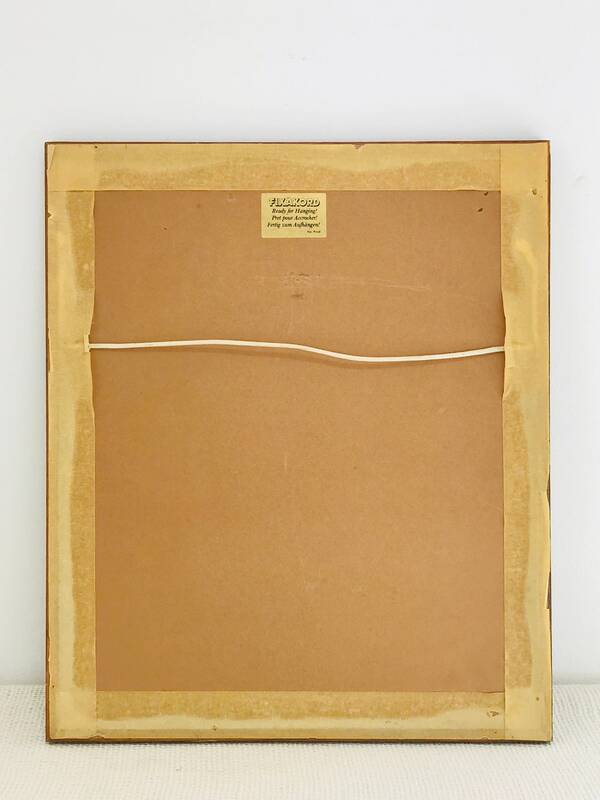 Mounted in brown and framed in a slender rimmed vintage oak frame. 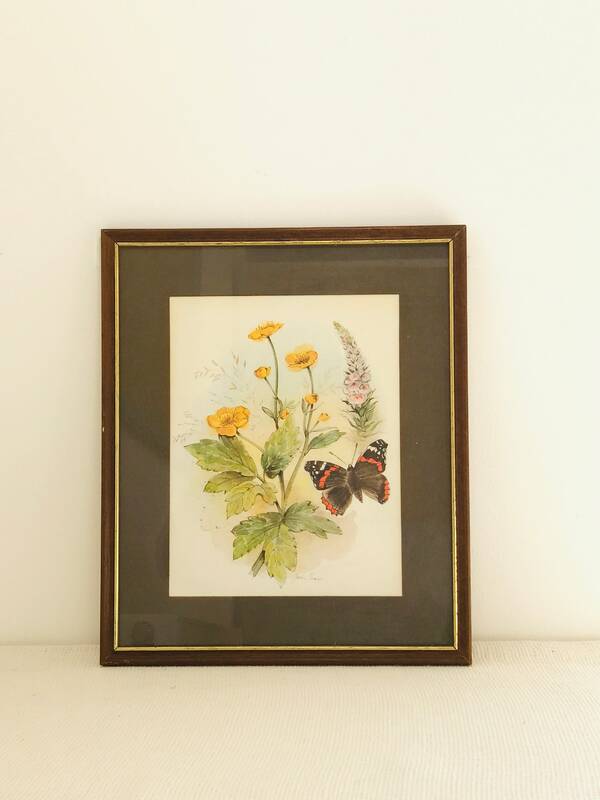 Measures approx: 10" x 12" Print Measures approx 7" x 9"